The services we provide our clients start with getting to know you really well so we know what is important to you and help you complete a plan and action list to address your goals. We will create a safe and comfortable environment for you, so you can share not only your financial goals, but also topics that you may be concerned with or scared about. Just as important as your finances we want to know your personal life goals and what you are passionate about. 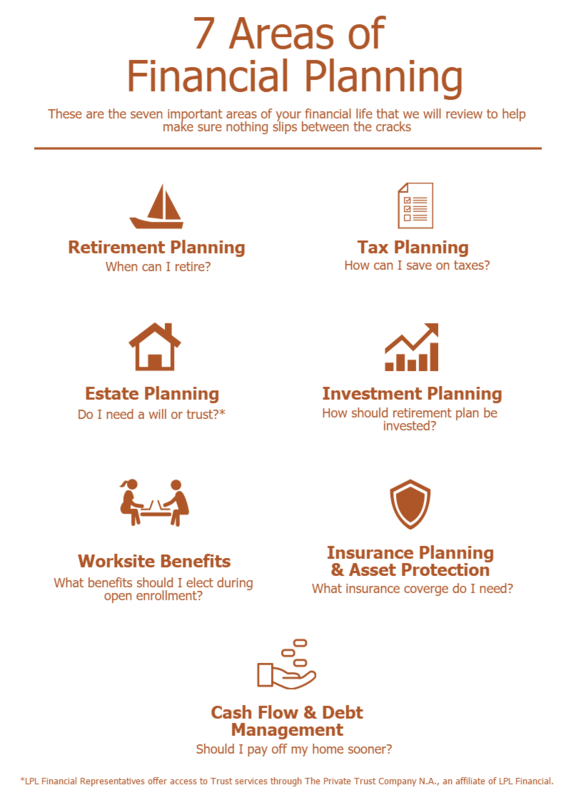 Once we know your concerns and goals we can help create a custom financial plan to help you work towards accomplishing your goals. 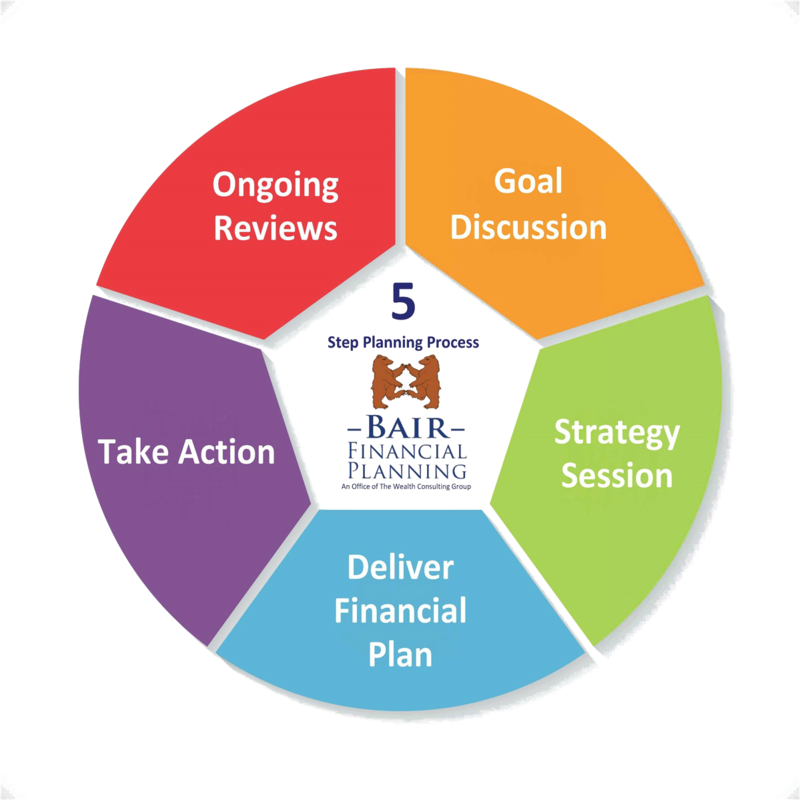 Through our refined Bair Financial Planning 5 Step process we are able to help you articulate what your goals are and help you organize and prioritize them so we can create a game plan to coach you along the way to help you manage your goals. We will also meet regularly throughout the years with ongoing reviews and support to be there for you as your personal and professional life changes. Just as you would have an array of labs tests done before meeting with your doctor for an annual physical, we also want to make sure that we are looking at you holistically and run "financial lab tests" before we make any recommendations. We are an independent Financial Planning practice and we have a Fiduciary responsibility to you and not to a company. This means we work for you and not an investment or insurance company. We are concerned about your whole financial well being not just selling a product. We will help you analyze what you own, help you figure out why you own it and how it works with your financial goals. Here are some of the questions we get asked most frequently and clients hire us to help them work through what is the best answer for them. 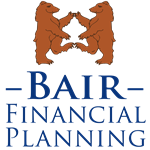 Since we are independent financial planners we get paid a flat fee to give you objective advice versus getting paid a commission to sell you a product that you may or may not need. Is my 401(k) invested correctly? What age should I begin taking Social Security? What pension option should I choose? Do I need Life Insurance or Long Term Care insurance? What's the best way to pay for my child's college education? How much house can I afford and what type of mortgage is right for me? Feel free to give us a call if you would like answers to some of these these questions or have something else on your mind we can assist you with.